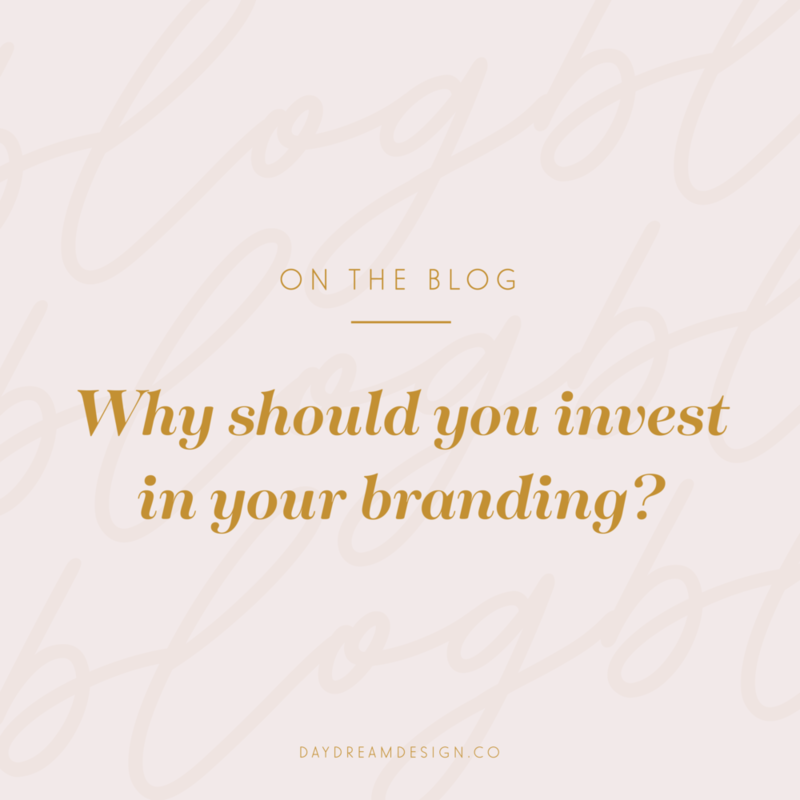 Why should you invest in your branding? This is one of my most common questions. So let’s jump in, shall we? My professor in design school once told me that a logo is like a vessel. It holds every decision you make in your business. Even the most successful companies have good branding. Apple, Google, Lush, and more. What’s the difference between a logo and a full brand? A logo is just a graphic element that can be applied to things with no context. Visually, a brand is an entire package of elements that gives a logo the support it needs with proper typography choices, color, and supporting elements such as patterns, icons or other graphics. Typically a designer also gives direction and a style-guide on how to use these all as well. Additionally, a brand provides a unique and impactful experience for the user. Now, what exactly is good branding? In my opinion, it’s consistent, purposeful, driven, and user-friendly. Consistency: It’s consistent in the sense that your users can go from your business card to your website and know that they’re still looking at the same company. Purpose: Purposeful branding is important, why? Because it’s not just slapping some type together and adding some color. It’s much more than that. It’s how an S can be too round for a bolder brand or how the application of a color can change the look and feel of an entire brand. Driven: This means it’s got some backbone, it’s going somewhere and can be applied onto many different things throughout the brand. User-friendly: This comes down to your fonts, color choices, and overall presentation and application of your brand. I also think it depends on your target audience. It means it’s easy to read, navigate and understand. What can a brand do for you? It will set you apart, create a look, feel and aesthetic for your company. One of the most important things is that it can be recognized easily on any application or platform which will help gain equity by your target audience. It will take you to the next level, but you’ve gotta be ready to go there too. There’s more to branding than just visual elements. This includes your brand voice, marketing language, and how you want to position yourself in your market. This will help you emphasize any product, service, or yourself to truly set you apart.